MAGHREB, AFRICA – A trade team from North Africa got a deeper look at U.S. wheat during a visit in mid-May led by Mina El Hachimi, North Africa administration and programs manager for U.S. Wheat Associates’ (USW) Casablanca office. USW collaborated with the Montana Wheat & Barley Committee (MWBC) and the North Dakota Wheat Commission (NDWC) to organize and host the trade team. Funding for the trade team also came from the USDA Foreign Agricultural Service (FAS). The team began its trip in Montana with a schedule that included tours focusing on research and breeding, milling, transportation and export logistics. On a tour of Montana Milling in Great Falls, Montana, U.S., Watters said the team was especially interested in the mill’s specialty products and in the design of the mill itself. During another stop at Northern Seed, LLC, in Fort Benton, Montana, U.S., which develops new durum varieties, the team saw progress toward the color specifications that their market demands. The team was impressed by the level of research and connectivity throughout the entire U.S. wheat industry. 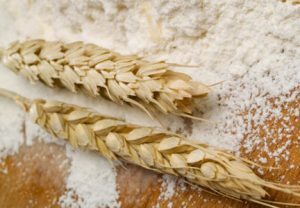 “I will share information with my own colleagues about the importance U.S. wheat farmers place on research and developing their industry,” said Adil El Eulj, administrator for IZDA. While in North Dakota, the team met with grain trade representatives and transportation experts to learn more about sourcing options and how to tender for combination shipments with spring wheat and other commodities. They also received a crop update and market outlook to help guide their buying decisions. U.S. durum sales to Algeria as of May 18 in marketing year 2016/17 (June to May) are 127,913 tonnes, or 4.7 million bushels, versus 89,811 tonnes, or 3.3 million bushels, at the same time last year, and Olson reported that the customers had positive feedback on the quality consistency. She also shared that the team met with Dr. Frank Manthey, North Dakota State University (NDSU), who presented promising quality data on new durum varieties that show improvements in semolina color, which was good news for the Moroccan team members. “I think the dialogue that took place during this visit was extremely helpful for our promotion efforts in that region and some of the most valuable we’ve had in recent years,” Olson said. The Maghreb region of North Africa is comprised of the Atlas Mountains and the coastal plain of Morocco, Algeria, Tunisia, and Libya. Morocco and Algeria are a part of USW’s Middle Eastern, East and North Africa (MEENA) region, directed by regional vice-president Ian Flagg from Rotterdam, Netherlands, and supported by offices in Casablanca, Morocco, and Cairo, Egypt.